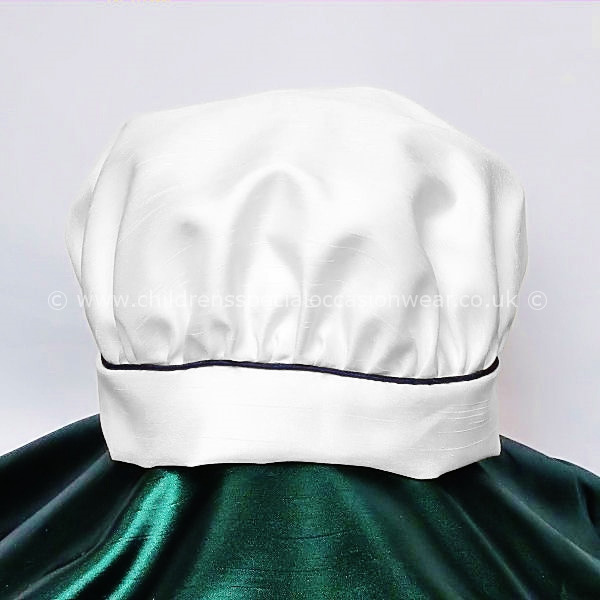 Baby boys white dupion hat with contrasting navy piping, made by Millie Grace. The perfect baby boys christening hat for his special day. 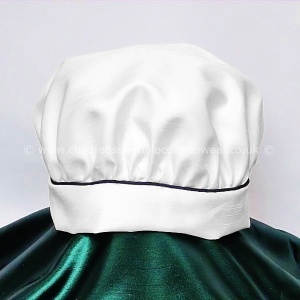 This beautiful white dupion hat in a beret style is fully lined and has a navy piped trim above the brim. This boys dupion hat will beautifully compliment our dupion Millie Grace christening rompers including Archie, Ethan & Jack.